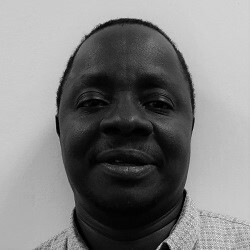 Cornelius Nattey joined HE2 RO in November 2015 as a Researcher. He holds a Masters in Epidemiology & Biostatistics from the University of Witwatersrand, and has over 7 years’ experience in data management, data analysis and quantitative research methods. Before joining HE2 RO Cornelius worked with the National Institute for Occupational Health ( NIOH) part of the National Health Laboratory Service (NHLS). He was involved in AIDS defining cancer research and analysis, data linkage of the National Cancer Registry (NCR) data, and Statistics South Africa (Stats SA) mortality data. He was also involved in HIV/TB research at the workplace. He is currently involved in complex data-set creation and data manipulation, working with large HIV cohort databases.